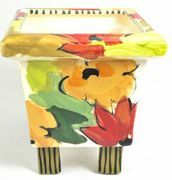 This 5-1/2" x 5-1/2" square footed planter is 6" tall and comes with a shallow dish that catches water run off. If you would like a different Droll pattern painted on this piece, just specify which Droll pattern when placing your order. 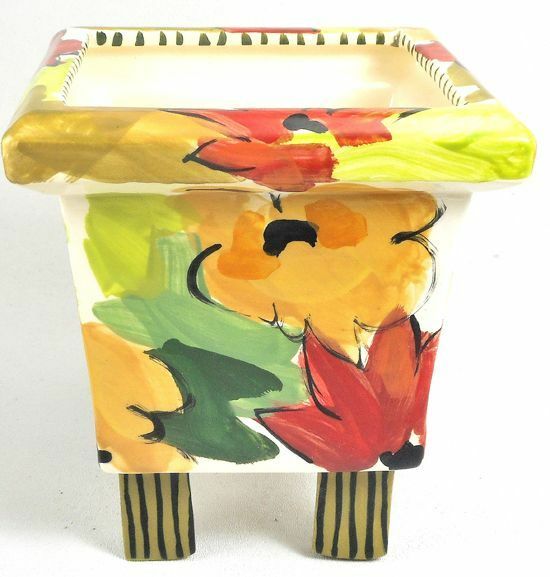 This four legged planter adds color to any plant. Great gift to anyone with a green thumb!